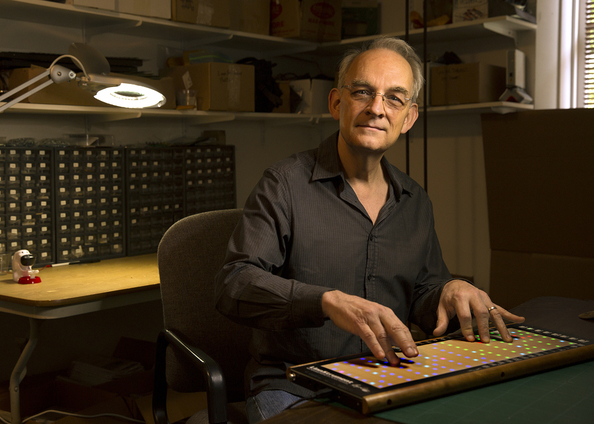 Roger Linn, inventor of the LM-1 drum machine, talks Prince and "When Doves Cry"
Forums > Prince: Music and More > Roger Linn, inventor of the LM-1 drum machine, talks Prince and "When Doves Cry"
Thanks for sharing! Worthy read. I think Prince's innovation with the LM-1 is arguably as impactful as his use of synths and guitars musically. I thought the comment about "Prince as great guitarist" was interesting. IMO, assigning Prince the predominant label of "great guitarist" puts a misguided limit on who he was as a musician, even though it is meant as a compliment. Just as a suggestion - you might edit the title of your thread to reflect that today (March 1) is the 33rd anniversary of the recording at Sunset Sound of "When Doves Cry". Damn, how the years fly by. Thanks for sharing! Worthy read. I think Prince's innovation with the LM-1 is arguably as impactful as his use of synths and guitars musically. I thought the comment about "Prince as great guitarist" was interesting. IMO, assigning Prince the predominant label of "great guitarist" puts a misguided limit on who he was as a musician, even though it is meant as a compliment. Awesome! Thanks for the share - I listened to it. "...he had one foot in the beat-oriented music world, but he had the other foot in the guitar world. The rock world." "You want everyone to be able to live a long and full life. But then again -- what's the expression? "The candle that burns twice as bright burns half as long." Telling, how such a integral element to his MUSIC gets so few responses here. I think, once again, he is a guy who saw music from an overview. Although his main instrument was guitar, I don't think of him as a guitar player. I think of him more, well, in the sense that people now call themselves "producer." They think of themselves more of the creator of the entire recording and whatever is needed to produce that. They tend to think in all the parts, as opposed to someone who only thinks in terms of guitar parts. You know, he was the writer, and as the writer, you tend to think in that way, anyway. But as the writer, many people don't have the skills in the individual instruments. So. He was able to put it all together, and I suspect that, were he alive today, [and] if he were asked this question, he would probably think of himself more as just a general creator of the music, as opposed to necessarily a guitar player.